Children seek attention and acknowledgment from the adult members of their family. Using their imagination creatively, usually with drawings and quite often by singing and dancing, they try to fill their spare times and elicit admiration from their parents. 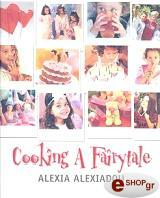 Teach your children the art of cooking and discover how to spend endless hours of fun with your whole family.